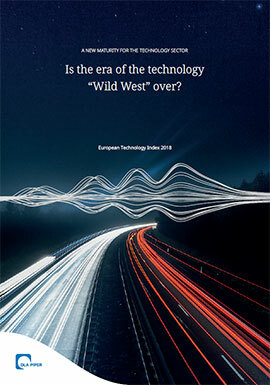 Despite the dynamic nature inherent in the technology sector, the fact that our Tech Index score in 2018 is actually unchanged from its previously recorded level in 2016 suggests that we may well have entered a new era where the concepts of areas such as Digital Transformation, Cloud Computing and Mobile Computing are becoming more commonplace than ever before. That doesn’t mean that the means through which these concepts are being achieved isn’t developing rapidly – but it does suggest that previously emergent technologies are being much more widely adopted and successfully implemented. Whilst superficially, the individual scores that underpin the overall index have moved very little between the 2016 and 2018 surveys, there is plenty of information in the underlying data that points us to some more specific trends.